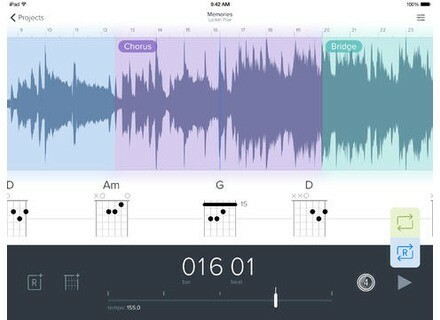 Capo Touch, Other software for iPhone / iPod Touch / iPad from SuperMegaUltraGroovy. 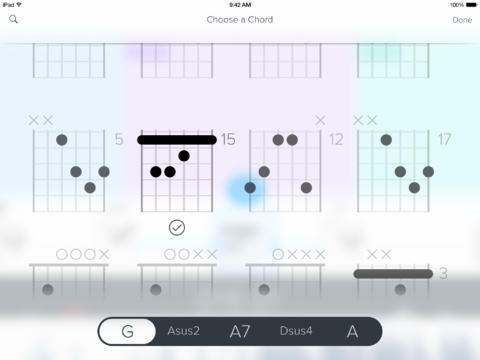 The SuperMegaUltraGroovy Capo song learning software is now available on iOS under the Capo Touch name. 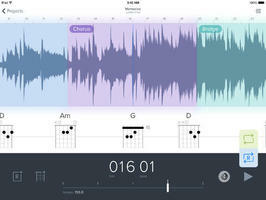 Capo Touch transposes to the iPhone, iPod Touch and iPad the Capo software available for Mac. 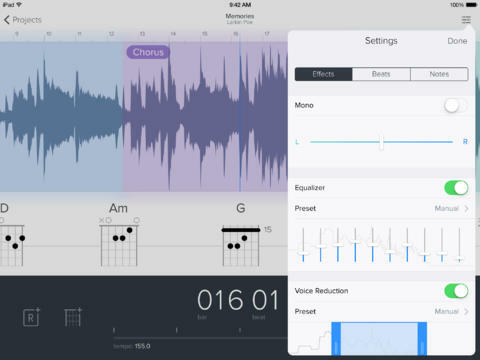 Mainly designed for guitar players, it allows you to learn how to play the songs in your iTunes library thanks to a beat and chord detection system. Capo Touch is available at the AppStore for the introductory price of 4.99€ (50% off) for a limited time. Note that the Mac OS X version has also been updated to v3.1, and now includes the same intelligent chord detection system, iCloud sync and a new icon unifies the look of the software and iOS app. Capo v3.1 is also available at half price (13.99€) for a limited time at the Mac App Store. Native Instruments Circuit Halo for Maschine Here is a new Native Instruments expansion pack for Maschine, designed for vintage synths and drum machines aficionados. WNP Sounds launches a compressor bundle WNP Sounds introduces the VS-C bundle, a collection of three VST compressor plug-ins for Windows. PRO Custom Drums for Drumagog and Trigger Ronnie Björnström, Thomas Johansson and Oscar Nilsson are associated in a new company that offers sample libraries for drum replacement.